2012 was a massive year for technology – robots on Mars, exoskeletons offering signs that wheel chairs may one day become redundant, Windows 8, and 3D printing using recycled plastic. The biggest technology impact in 2012 was the flood of new exciting consumer products including 4G smartphones, cameras, GPS, game consoles and tablets. But now it’s time to look ahead to 2013 and see what’s in store for technology in Australia. The 2013 federal election promises to be a pivotal moment for NBN Co and the National Broadband Network (NBN). 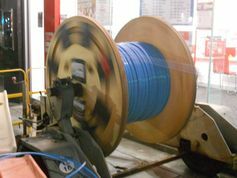 If the government is returned, the NBN will move ahead as planned – albeit with faults including the glacial pace of the rollout, the ban on the NBN connecting with planes, trains, buses and other vehicles, and continuing to use Alcatel-Lucent as a sole supplier of the fibre system. If the opposition wins government, we should expect to see immediate change. Key changes are likely to include a reduction in the fibre rollout – with the new mix of customer access being 60% fibre to the home, 30% fibre to the node, 7% fixed wireless and 3% satellite. The 30% fibre to the node will consist mainly of multi-dwelling buildings – many of which now utilise a fibre to the building solution. 2013 will be the year that the move to mobile devices has the greatest impact on the internet. 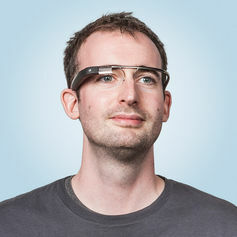 Smartphones, tablets and the big mover for 2013, cyber-glasses, will become the focus for internet developments, and marketing will attempt to overcome the perception that it is difficult to advertise effectively through mobile devices. Gartner, an information technology research and advisory company, has predicted that mobile app downloads will top 81 billion in 2013, an increase of about 45% over 2012. 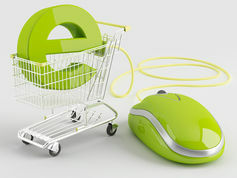 Australians will further embrace online shopping and in 2013, Australians are expected to spend more than A$37 billion online. The government will face increasing pressure to do something about the widening competitive gap between traditional store front retailers and online international retailers. The loss of GST revenue and the flow of capital out of Australia will reach a level that will make this an election issue. A recent survey report by SLI Systems identifies that retailers will focus their e-commerce priorities on search engine optimisation, mobile commerce, e-commerce platforms and improving website search capabilities. Criminal activity over the internet will reach a new peak in 2013. 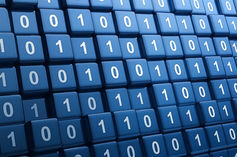 Cyber-crime may reach the A$2 billion mark in 2013. 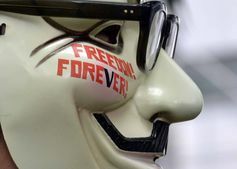 Government will come under increasing pressure to take steps to reduce cyber-crime and this may finally lead to the introduction of technologies to improve privacy and security on the internet. Companies operating on the internet are likely to focus their attention on the cyber-crime problem and improve the security of their online presence through smart design. The shift away from the desktop to mobile platforms will continue in 2013. 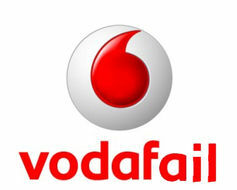 Recent changes to mobile carrier plans to reduce data allowances bodes ill for mobile customers in 2013 hoping to increase their smartphone and tablet use. The move to increase charges on mobile customers continues Australia’s mobile rip-off and poses the problem for regulators – how to increase competition with such a skewed mobile landscape where Telstra is dominant, Optus seems to be asleep and Vodafone is likely still reeling from the Vodafail episode. The big winner in 2013 will be Wi-Fi. The mobile device market is growing rapidly and customers are increasingly looking to Wi-Fi as an alternative solution to overcome the high cost of mobile plans. Expect to see an explosion of Wi-Fi in 2013 as this technology matures as a commercial alternative to 4G. The successful Queensland train Wi-Fi system should provide the impetus for Victoria and New South Wales to introduce train Wi-Fi systems in 2013. The cloud should become a dominant feature of our online experience in 2013 … even more so than it already is. 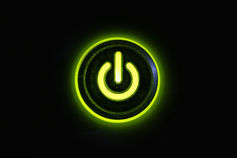 Forrester, an information technology research company, predicts that the IT world will finally “get real about cloud” in 2013. Applications such as Dropbox, Apple iCloud, Google Apps and Microsoft Office 365 will become central to our online experience by improving productivity and reducing organisation technology costs. The move away from desktop computing to the cloud will accelerate many of our routine activities such as collaboration, email and document processing. 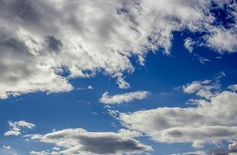 There will be growth in the construction and use of date centres to match the need for ever-expanding cloud capability. We can only hope that new Australian data centres are required to be built using environmentally sustainable technologies. 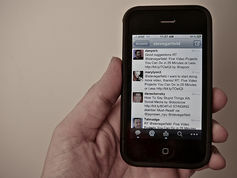 Increased competition, better privacy and improved security are likely to be key ingredients for the social media scene in 2013. The big three - Apple, Google and Microsoft - went head-to-head in the market in 2012 and should turn their attention to unified social media offerings in 2013. The Facebook versus Twitter war is hotting up and we should expect to see new and existing social media organisations duke it out in 2013. 2013 will be a watershed year for broadband applications. Expect to see a huge growth in consumer and business broadband applications including IPTV, eHealth, eLearning, 3D-interactive games and business applications such as machine to machine and business to business. We will see the start to an explosion of sensor networks and vehicles connected to the internet. Australians will increasingly turn to technologies that overcome regional and digital format restrictions. Business is turning its attention to big data and investing considerable sums to mine data repositories. This activity will expand rapidly in 2013. Organisations are learning that big data can be a source of increasing revenue through trading or resale of data and targeted marketing opportunities. A Gartner report published in October 2012 states that by 2015 big data will support 4.4 million IT jobs. Australian companies have been late to explore the opportunities provided by big data but we should expect that to change in 2013. Australians will demand a better experience online and for this reason pressure will build in the lead up to the 2013 Federal election. The internet is a fast moving space and the major issues facing people on the internet today appear to be daunting to the slow-moving government bureaucracy. 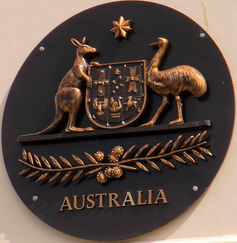 Government agencies including the Australian Communications and Media Authority, Australian Competition and Consumer Commission, Australian Federal Police and the Australian Privacy Commissioner are seen to be too slow to react, toothless or hesitant to take action. Several issues that should be of significant concern to Australians are the tech rip off and global roaming rip-off, cyber-crime and the failure of large international multi-nationals to pay tax. 2013, being an election year, must surely be the year that government stops the endless cycle of committees and inquiries and takes action.